New AIS Fibre subscribers has permission to borrow Dual Band Wi-Fi Router amount of 2,500 baht that support 2.4 GHz and 5 GHz frequency increase efficiency improvements. In case customer cancels the service, customer must return all AIS Fibre equipment to the company. The customer who subscribe PowerBOOST package receive free Public IPv4 with DDNS* and Public IPv6. Can use port forwarding and bridge mode. Recommendations for maximum efficiency for customers. 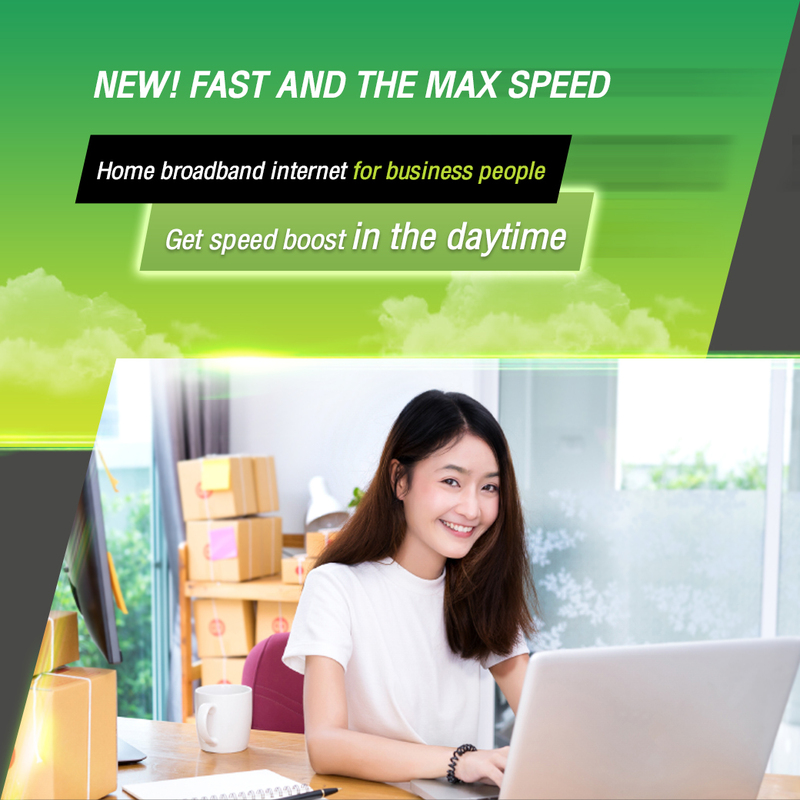 The internet service uses shared speed for downloading and uploading; therefore, the connectivity speed and quality may vary due to the number of subscribers and amount of data being transferred in the subscriber’s area/zone. The internet speed of the subscriber’s selected package can also be affected by the distance between the fibre aggregation node and the subscriber’s router spot, the router quality, and the router capability, including the visited website server, especially for foreign websites. Cannot join 10% discount for AIS customers promotion. Customers will receive AIS Fixed Line based on the province where AIS Fibre is applied. Customers can not select or change number. The free call credits will be valid for the billing cycle. In case not used, cannot carry the remaining balance to the next billing cycle.